This is the easiest of the four circle maze boxes. 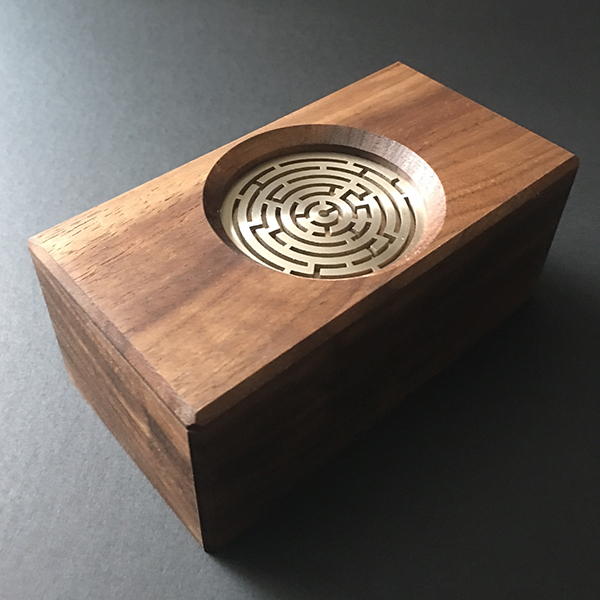 It features a rotating stainless steel maze in a Walnut box. 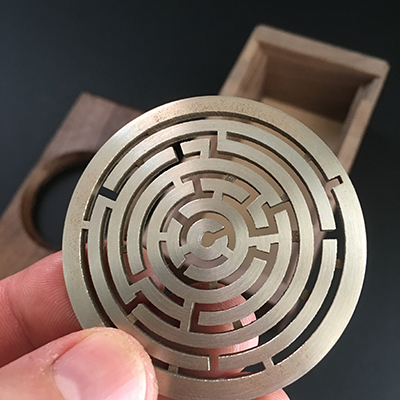 A small pin must be navigated to the center of the maze to unlock the box.